Mode Kitchen and Bar in Four Seasons Hotel Sydney, has launched a new dining series that celebrates Australia’s rich and vibrant produce and shines a light on the incredible growers and suppliers who deliver it to our plates. 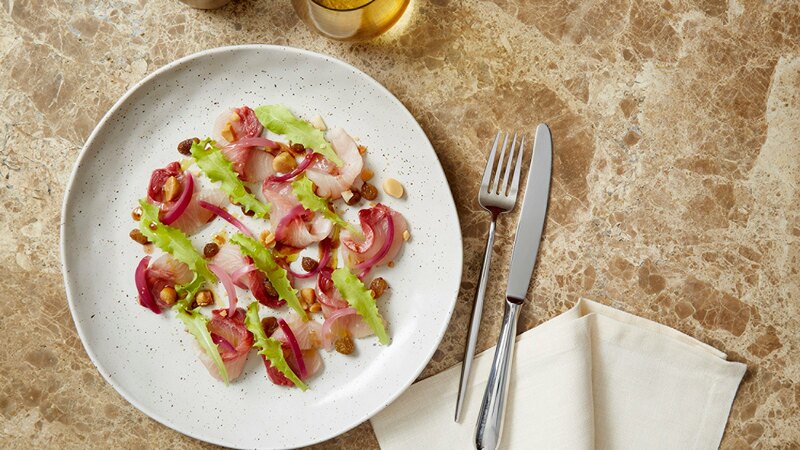 The collaborative series entitled “Celebrate Australia”, was launched on 4 March 2019, with a brand new menu that showcases South Australia’s extraordinary range of food and wine. With its diverse micro-climates, multi-faceted landscape and distinct regions, the picturesque state grows and nurtures some of Australia’s finest citrus fruits and berries, premium sustainable seafood such as Pacific oysters, mussels and hiramasa kingfish, fresh organic vegetables and high-quality meats including salt bush lamb, beef and kangaroos. Celebrating South Australia sees Mode Kitchen & Bar’s Executive Chef Francesco Mannelli champion a number of the region’s wonderful producers including Goolwa Pipico, Clean Seas Seafood, Mayura Station wagyu and Woodside Cheese Wrights. Indeed, it is rather fitting that the Italian-born Mannelli is working with these ingredients, given they were produced in the southern state’s Mediterraneanclimate of warm, dry summers and mild winters. For Mannelli, simplicity is key when working with such incredible produce. He notes that the best way to highlight an ingredient that is already special on its own is to create a dish with a good balance of flavour, a contrast in texture and respecting the produce. Guests dining on the new menu can experience dishes such as sautéed Coorong pipis served with spicy sausages from Calabria, karkalla and grilled focaccia; a grilled hard-to-source cut in the form of a Mayura Station wagyu tri tip MB 9+ with roasted balsamic onions; hiramasa kingfish sashimi with sweet and sour sauce, macadamia and pickled onion; and a South Australian kangaroo loin, crusted with crushed Tasmanian pepper, warrigal greens and beetroot. The Celebrate Australia series will continue at Mode Kitchen & Bar with further menu takeovers and producer showcases to be announced over the coming months. The Celebrate Australia menu is available for dinner till 24 May 2019. 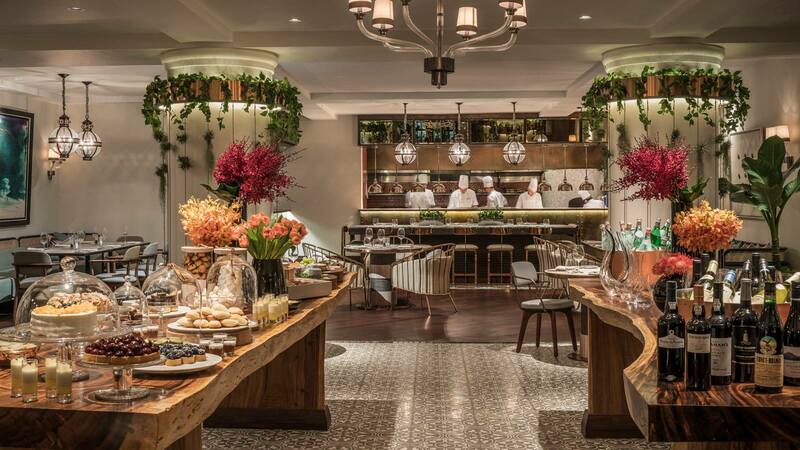 Alto Restaurant & Bar in Four Seasons Hotel Jakarta, which the hotel claims as Jakarta’s finest Italian restaurant, unveils a new concept for its Sunday Brunch with an all-new and enhanced à la carte menu. 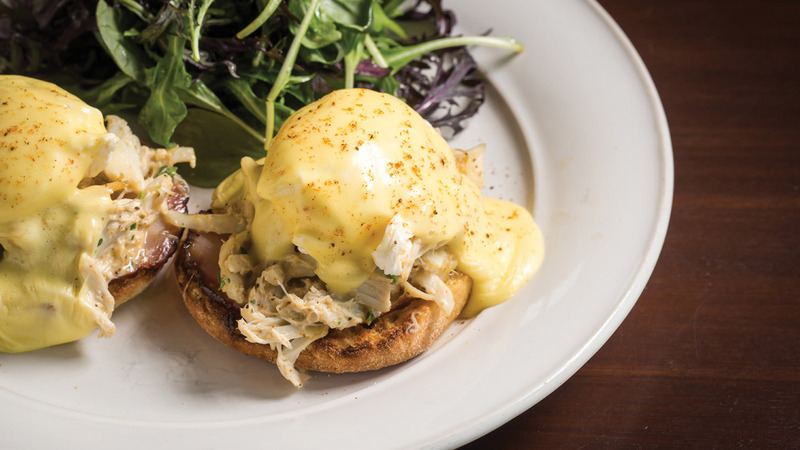 The new menu features delightful creations such as the super fluffy vanilla pancakes, toast francese, eggs benedict e tartufo and Alto wagyu burger complementing the authentic Italian dishes and gourmet selection of cold cuts and cheeses. The liquid selection also gets a revamp featuring an exciting new Campari Corner where guest can pick and mix Campari-based cocktails, and all new Wine Trolley with favourites: from bold reds of the Old World to classics from across the New World, Four Seasons has curated an indulgent selection of wines by the glass, to pair with the gastronomical feast. Sunday Brunch is available every Sunday from 11:30 am to 3:00 pm. Guest can choose between indoor seating and dining al fresco at Alto’s terrace. One-Ninety, the modern Asian brasserie at Four Seasons Hotel Singapore, is now open after a botanical transformation, and now serves wholesome Provençal cuisine with an Asian twist. The ambience of the restaurant is an extension of the heritage-botanical inspiration that very recently transformed the Hotel’s rooms and suites. The same tropical influences now effortlessly infuse the menus that feature fresh, seasonal and daily-sourced produce. 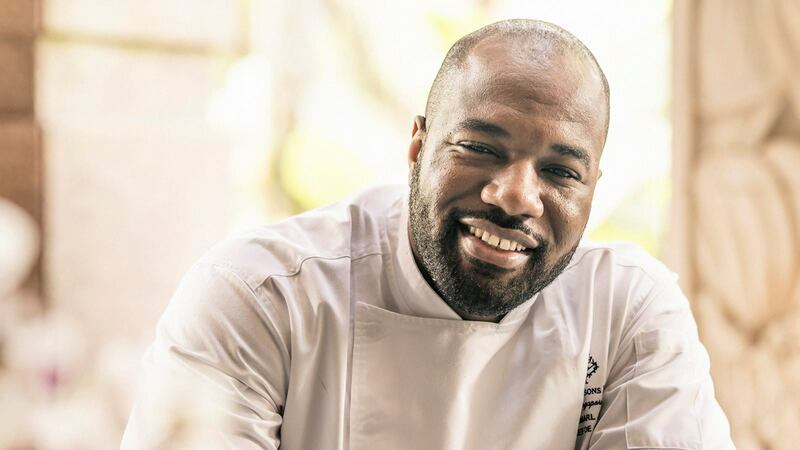 Chef Kamarl John leads the culinary brigade and was previously from Four Seasons Hotel London at Ten Trinity Square. Most recently he was with Adrift by celebrity chef David Myers in Singapore. Having spent the last year in the city state and around Asia, Chef Kamarl is constantly fascinated by the vibrant food heritage of Asia and even more so with the Lion City, from the nation’s instrumental role as a key entrepôt on the Spice Route in the 17th century which naturally made it a melting-pot of culture and cuisine, even to this day. “My philosophy when it comes to food is to use quality ingredients and let these shine by balancing them with clean fresh flavours. This creates an experience where the guest leaves happy and appreciative of natural, wholesome cuisine that excites and comforts all at once,” shares Chef Kamarl. Showcasing the culinary craftsmanship driving the cuisine at One-Ninety, every meal begins with artisan sourdough with seaweed butter. Sourced from artisanal mills in Hokkaido, Japan, the flour is only produced upon each order. Ground by hand and blended to One-Ninety’s specifications, each loaf is baked fresh daily in the restaurant’s own ovens. 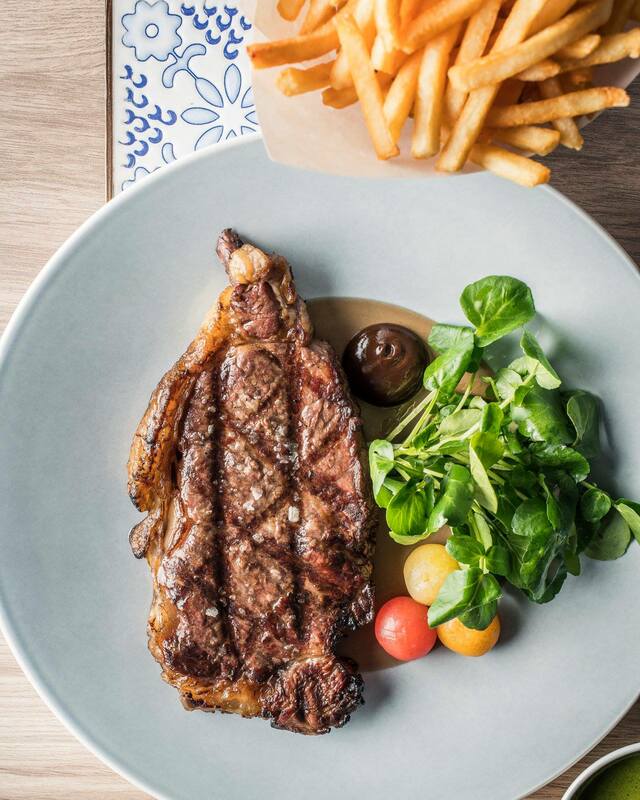 Expressing his creative flair, love for Provençal cuisine and the kaleidoscope of Asian flavours, Chef Kamarl’s signatures include the ocean-fresh Seasonal Seafood Tower for Two and chargrilled 1.2 kilogram forty days aged rib chop. End your meal with a decadent selection of handmade cakes and desserts by pâtissier Audrey Yee, a Four Seasons veteran and graduate of the renowned Le Cordon Bleu School in London. Featuring special, seasonal produce available in limited quantities, the Blackboard Specials are sourced by Chef Kamarl to further enhance the dining experience. From rare aged wagyu, wild seabass and sea urchins to white asparagus and winter truffles, fastest reservations for these are a must. Begin with an apéritif then heighten the dining pleasure with specially selected red and white pours that pair excellently with the menus. End off with a choice or two of digestifs for the perfect finish. Should guests prefer, an award-winning wine selection of “100 wines under SGD 100” and wine-by-the-glass is also available for a wider selection spanning 12 countries, vintage ports and rare varietals and growths too. A hearty epicurean spread including a buffet of delectable appetisers, premium imported cheeses, and decadent desserts beckon, and are changed daily according to the freshest and finest seasonal produce of the day. 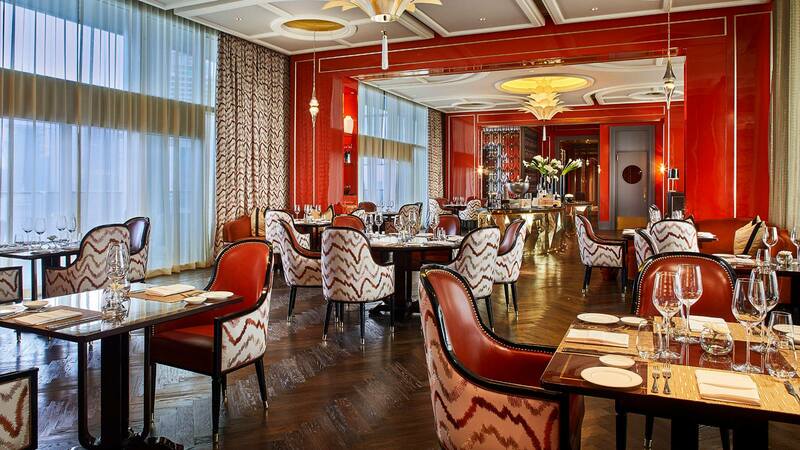 This is complemented with a choice of entrées of Provençal cuisine with an Asian twist. Appetisers include luscious seafood salads with fresh herbs from the Four Seasons organic garden, charcuterie and cold cuts; while sweet delights abound on the dessert spread crafted by Pastry Chef Audrey Yee. Provençal cuisine with an Asian twist takes centre stage at One-Ninety, a modern Asian brasserie. 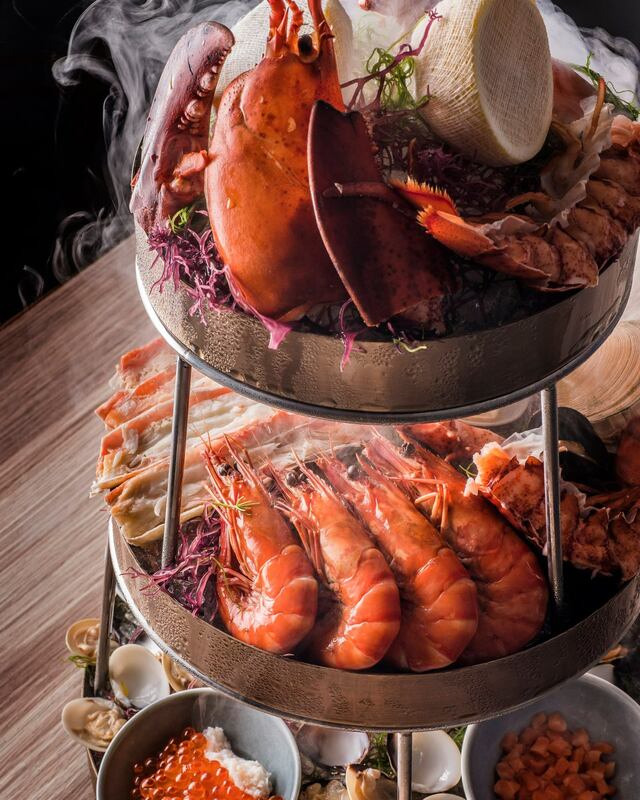 Relish in the ocean-fresh signature Seasonal Seafood Tower along with entrées and a buffet of daily-sourced produce including fresh salads, premium cheeses, charcuterie and cold cuts. This is accompanied by a choice of entrée featuring wholesome Provençal cuisine with an Asian twist such as the snapper bouillabaisse with spicy daikon and lemon grass, or miso chicken with sesame togarashi, shishito peppers. Also available are brunch classics with favourites such as organic scrambled eggs topped with cold smoked salmon on toasted brioche, and ricotta cheese pancake with mixed berries and vanilla cream. You can also opt to add on unlimited Ruffino prosecco or Taittinger Brut Champagne to your Sunday Brunch, while the little ones enjoy the dedicated children’s zone where there will be engaging, fun-filled activities. Photo credits: Four Seasons Hotels International.